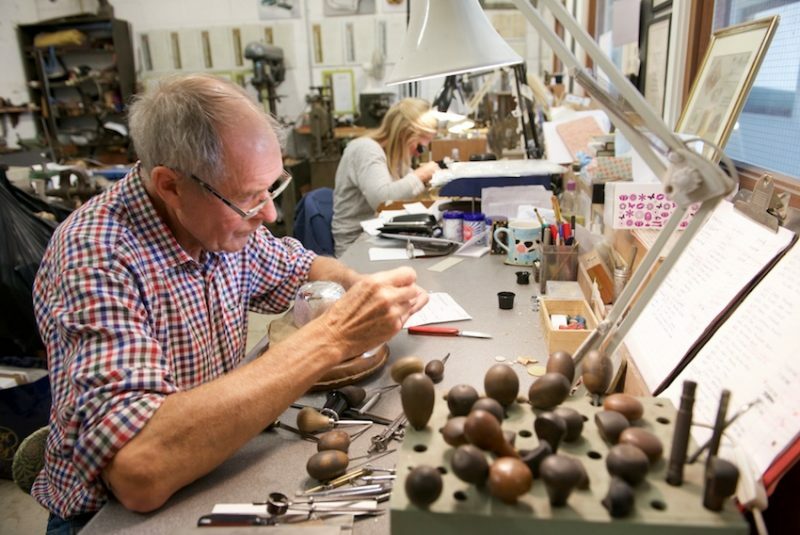 Faversham Life interviews a fine craftsman in his workshop at Creek Creative. The letter was neatly typed on letterhead bearing the name J J Bergin, 11 Lancashire Court, New Bond Street, W1. Describing the company as ‘Heraldic, General and Machine Engravers, Saw Piercer’, the letter, dated June 1965, and signed by J N Bergin (whom he came to know as Norrie), was addressed to David Bedford, then aged 17. It was an offer of employment as an apprentice, working a 44-hour week at an hourly rate of 4s 6d (£12 per week). ‘I picked it up pretty quickly,’ says David. ‘Within 10 years I was their top engraver. Many years later, the boss said: “I think I should have paid you more.”’ When David joined J J Bergin, the company employed six engravers. Over the years it got smaller and smaller, and David says that most people now work on their own. Although it was all happening in Carnaby Street, just a short walk away, the premises at Lancashire Court were somewhat Dickensian – ‘up dusty old stairs, dim lighting and no running hot water.’ The location, however, in the West End of London, near Bond Street, attracted prestigious customers, many of them, such as Garrard, the Crown Jewellers, Asprey, Georg Jensen and Cartier, in the retail trade. In the 1970s the lease at Lancashire Court ended. ‘We had to move several times,’ recalls David. 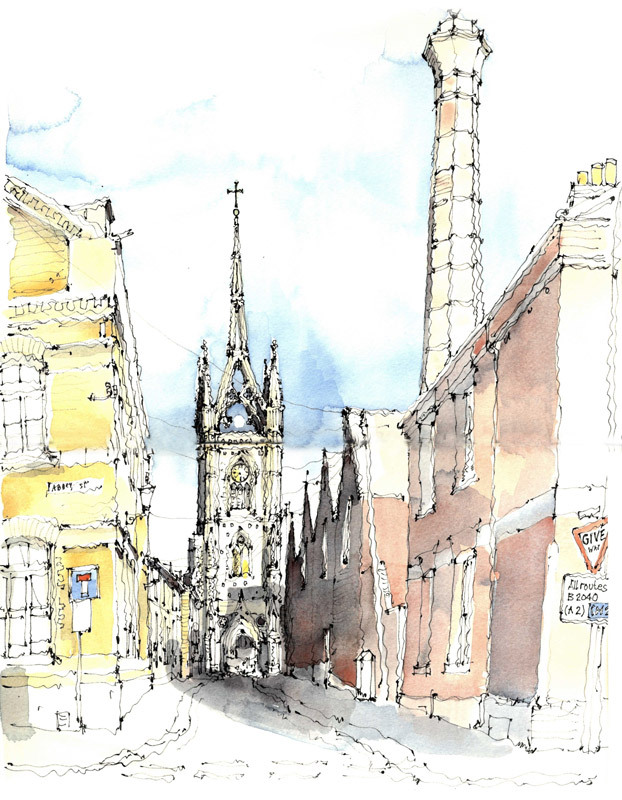 ‘Leases would run out and the owners would increase the rents and convert workshops into offices, flats and restaurants. This was happening all over central London.’ J J Bergin moved to Store Street and almost 19 years later to Clerkenwell Workshops. Ten years later, this building too was being refurbished and going upmarket. The next move was to a small former printing works not far away. In 1977, Norrie Bergin retired and David Bedford and his colleague Bill Trickey took over the company. When Bill retired, David says: ‘I was prepared to chuck it all in too.’ Mercifully, his friend the silversmith Ray Walton (see Faversham Life profile) had just moved into his spacious basement workshop at Creek Creative in Abbey Street in Faversham, and said: ‘When you leave London I’ve got plenty of room here.’ David’s London lease ran out at the end of May 2012, and after 46 years of commuting, he moved into Creek Creative. 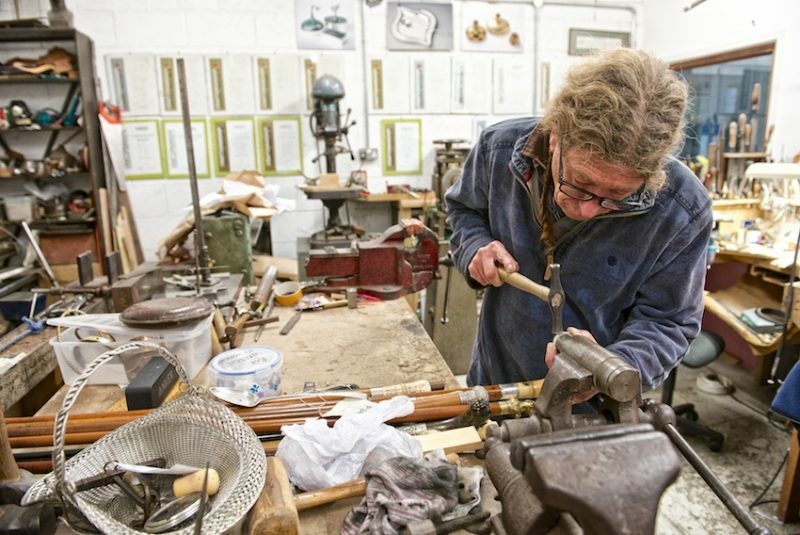 The workshop is packed with the tools of the silversmithing and engravers’ trades, many of them unchanged over the last 100 years or so. 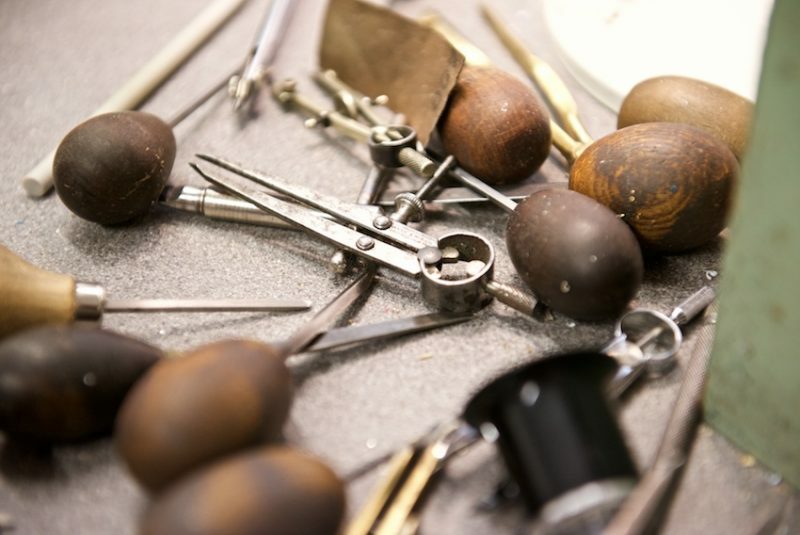 There is venerable machinery, made or modified for particular tasks, but most in evidence are the hand tools, in David’s case the scribers for marking out and the gravers for free cutting. 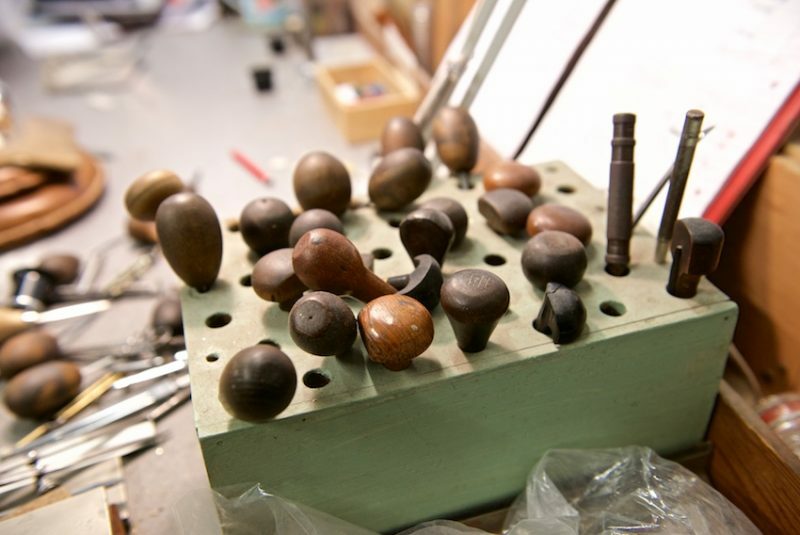 There are clamps and jigs for holding items and a state-of-the-art ball vice. On his workbench is a planished silver whisky tumbler, the light catching the gentle indentations left by the planishing hammer. It will have the family crest on one side and the date in Roman numerals on the other. 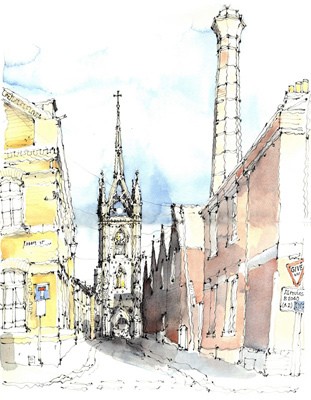 The piece is for a London customer – 80 to 90 per cent is London work, says David, and 90 per cent of that is for the trade. Inscriptions on rings, bracelets, cufflinks, bangles and signet rings, together with family crests and coats of arms, form the bulk of the work. ‘More than half the job is marking on,’ says David. Plasticine is rubbed lightly over the surface that will receive the inscription, then a light dusting of powder to take the shine off. The lettering can then be sketched on with a pencil, scribed with a steel point before being hand cut with a graver (also known as a burin), which is like a miniature chisel with a bulbous wooden handle and a metal shaft with a 2mm square tip. The gravers come in a basic shape and the shaft can be heated and bent into a curve, for example for working on a bowl. 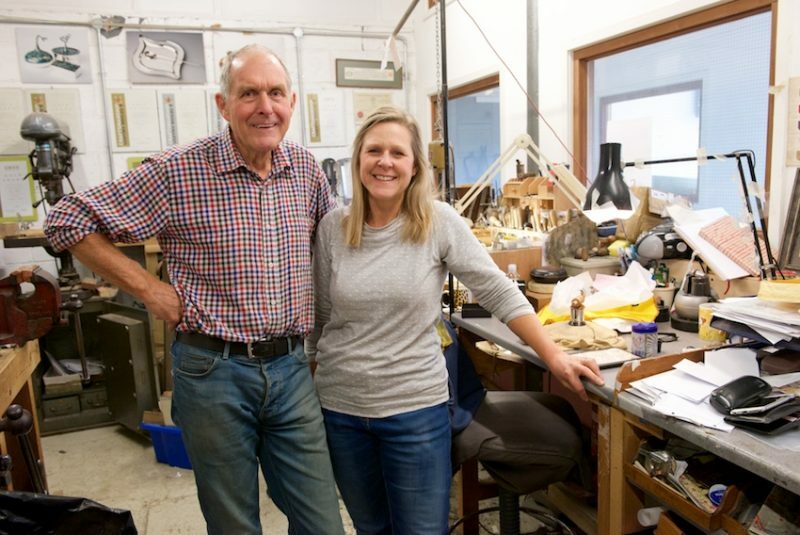 J J Bergin has grown since it moved to Faversham to include Sarah Hobbs, David’s daughter, now in her second year as a full-time apprentice to her father. This is possible thanks to bursaries from the Queen Elizabeth Scholarship Trust, whose tagline is ‘supporting excellence in British craftsmanship’. In 2014 QEST established an apprenticeship scheme to support the wages and training costs of people seeking careers in traditional crafts. 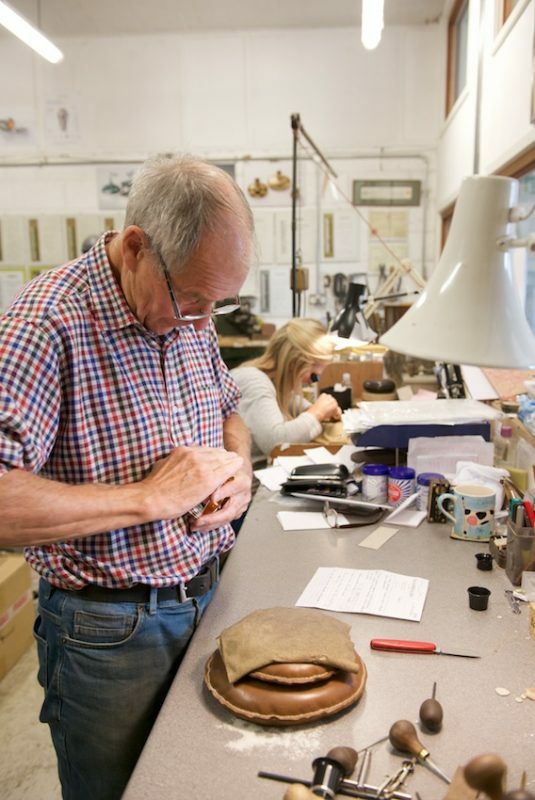 These range widely and currently include farriery, gun and spectacle making, textile conservation, cordwaining, clog making and affinage (the maturing of cheese). Sarah likes the variety of the work and has started to enjoy lettering. It’s usually copperplate script or Roman, but they can do all sorts of languages. ‘If it’s clear enough, I can copy it,’ says David.’ A job Sarah worked on with her father involved trips to the Silver Vaults in Chancery Lane (‘I could hear the underground rumbling alongside us’) to touch up and recut 24 silver tea services (worn out by polishing) belonging to the Thai Royal Family. 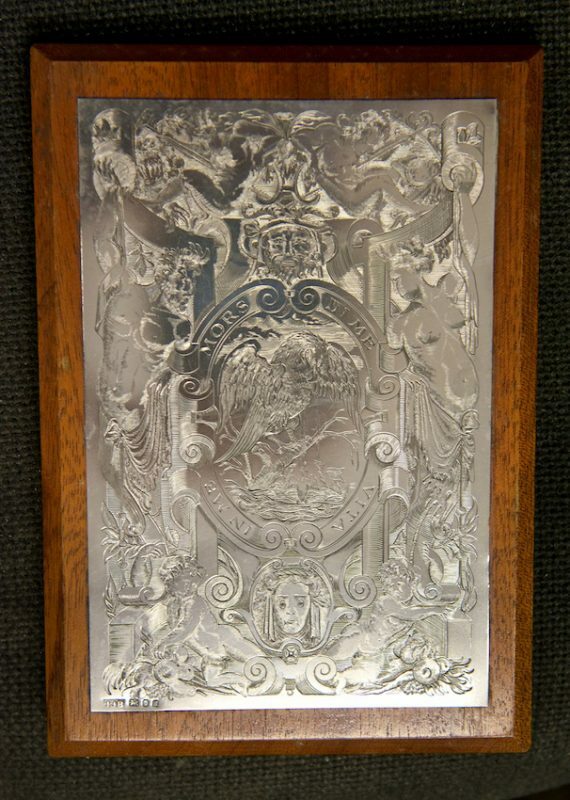 An exhibition piece of St George and the Dragon, from the J J Bergin original sample book, is her entry for the engraving section of this year’s Goldsmiths’ Craft and Design Annual Awards. 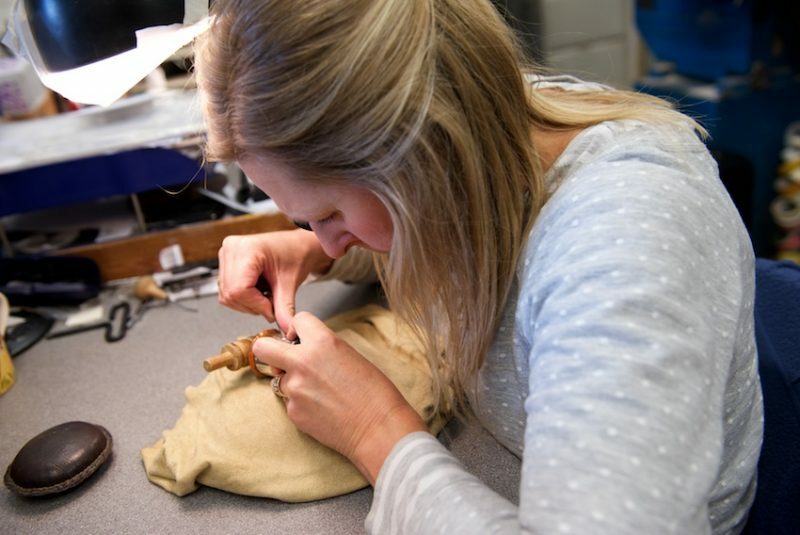 ‘It took 80 hours,’ says Sarah gravely. 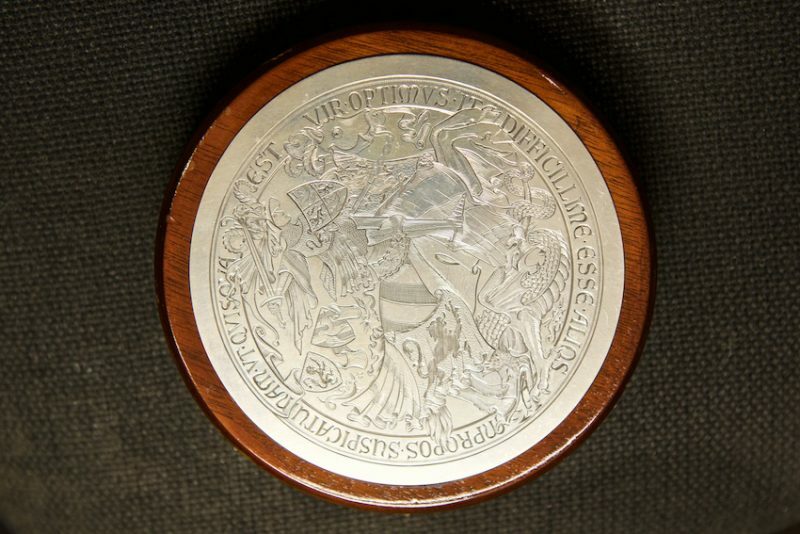 It is a very fine piece, which bears the motto Labore et Diligentia, meaning ‘with labour and diligence’. Add ‘artistry’ and you have a rather good motto for this consummate craft business.